Jumping pad for 3.90 m trampoline with 230 mm silver long springs. This jumping mat has been designed to replace damaged jumping mats on 3.96 m in diameter trampolines with silver springs of 230 mm in length. Strong and flexible, these jumping mats guarantee incredible quality. 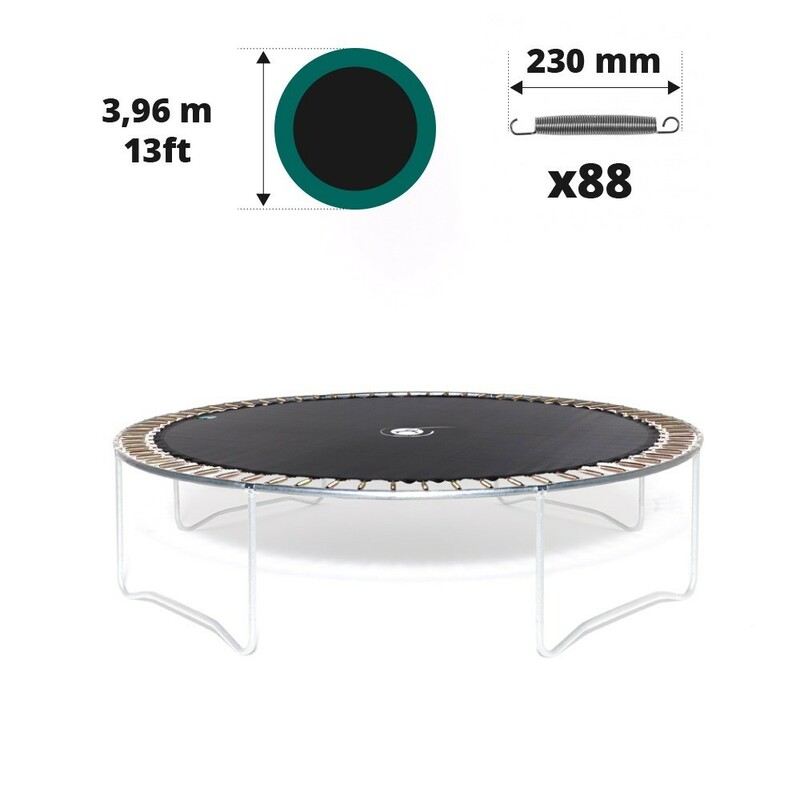 - Designed for the trampoline Booster 390, this jumping mat is though compatible with any trampoline, even trampolines bought from companies other than France Trampoline, as long as it has the same characteristics and springs of 230 mm in length. 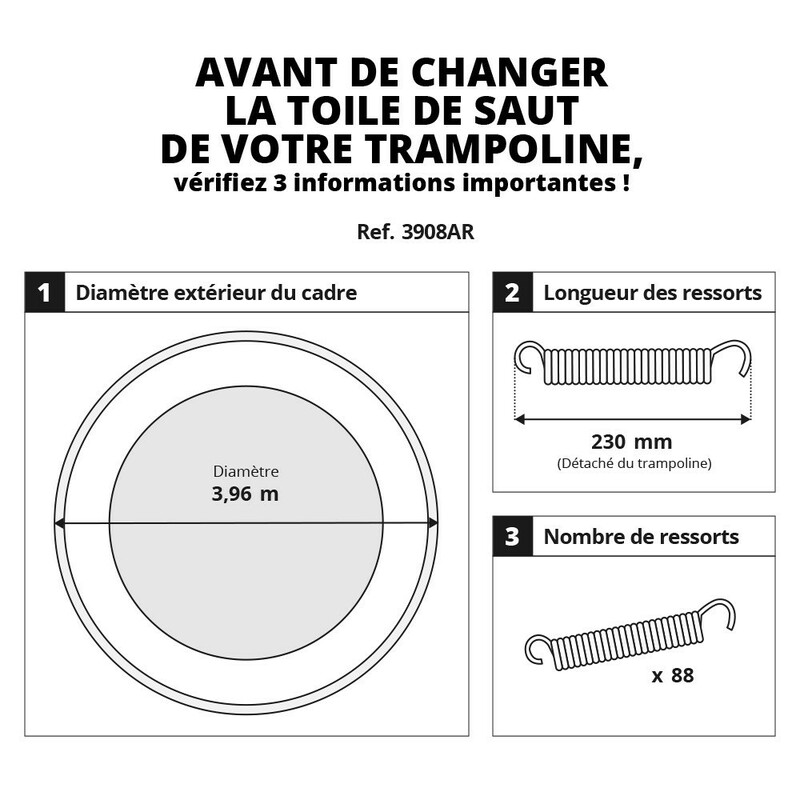 It is important to ask a second person to help you to measure the exterior diameter of your trampoline. - This jumping mat is made from a very strong mesh fabric. It has been UV-protected which protects the mat durably from sun damage. This will ensure that your jumping mat is long lasting. - There are 8 rows of stitching on this jumping pad, as well as a reinforcement strip around the whole circumference of the mat. This ensures its solidity. Hot-dip galvanised steel rings, which are rust-proof, are fixed at the end of the straps to reinforce the whole structure. 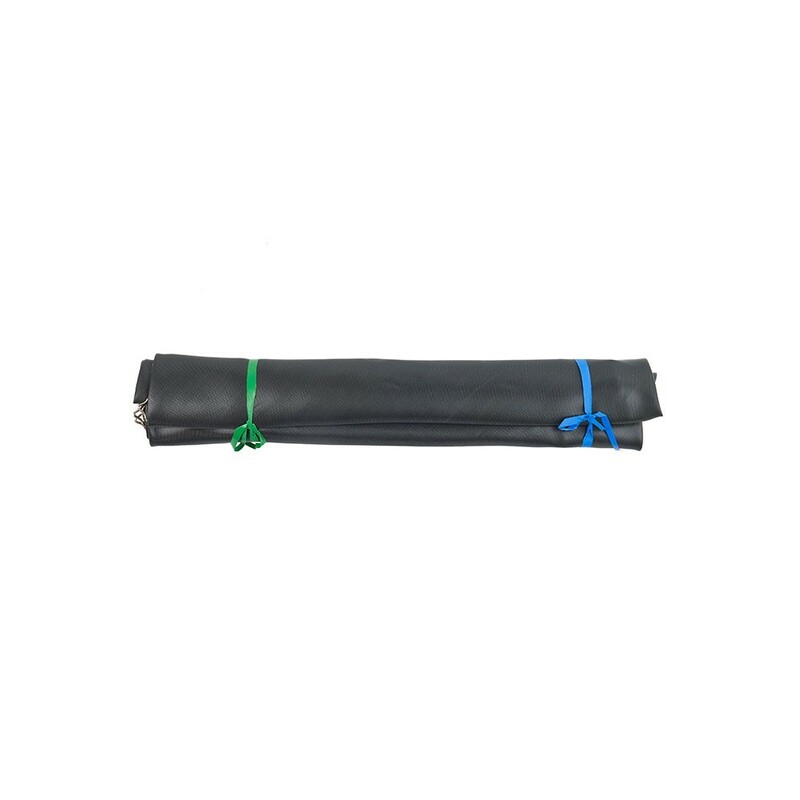 - Warning, this jumping mat is designed for springs of 230 mm in length. If your springs are longer or shorter, other jumping mats are available. Please measure your springs carefully before ordering: remove a spring from the framework and measure its initial length from hook to hook.